Directions: Seven (7) minute walk from Stirling railway station, right and up the hill via Maxwell Place and left into the Back Walk. We're just past the information centre, next to the City Walls pub. Or, eight minutes (8): up the hill from the station and turn left next to McDonald's into Murray Place. Follow the road until you hit the Filling Station. Turn right and keep walking next to the City Walls! Our door, in the city walls, is on the right. Directions: A 40-minute drive on the M9. Follow the signs to Stirling. Castle Walk B&B can arrange airport transfers for you on request. Alternatively, catch the tram or bus to Edinburgh Haymarket Station where you can take a train to Stirling. 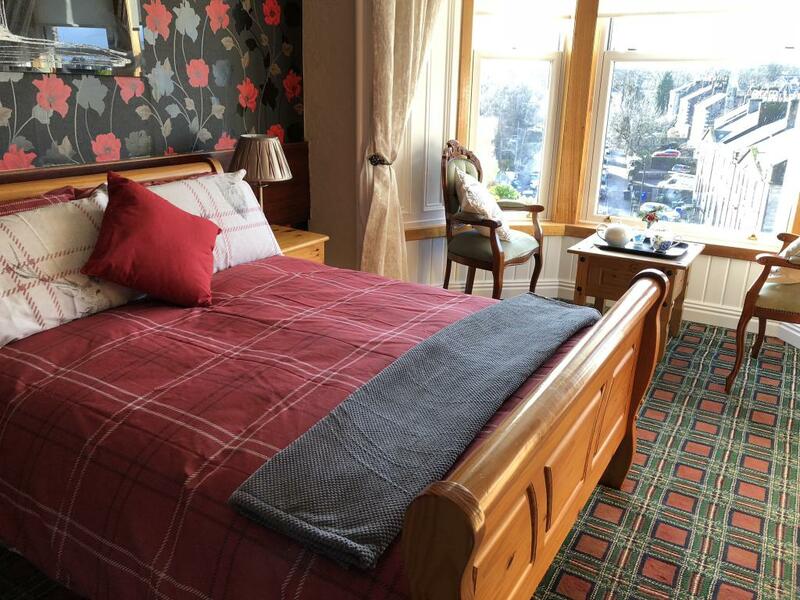 Hop in a taxi for the two-minute ride to the B&B or enjoy the 8-minute walk to the guest house through Stirling city centre. Landmark: Our entrance is on the right of the City Walls pub. Directions: A car journey of just over one-hour, via the M8 and M80. Or, take the airport city bus link into the centre of Glasgow. At Glasgow Queen Street railway station you will find many trains that stop at Stirling. The train journey can take anything from 30 minutes to one-hour from Glasgow to Stirling. 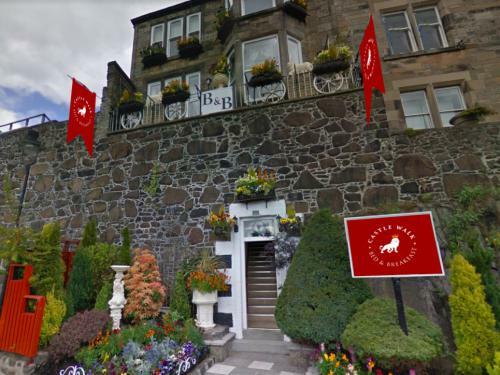 At the Stirling station, you can pick up a taxi for the two-minute trip to the B&B.Or, enjoy the 8-minute walk through the city to Castle Walk B&B. Landmark: We're next door to City Walls pub. Directions: Look up towards the Castle and the city walls. You will see Castle Walk B&B embedded in the rock. Our entrance is on the Back Walk, next to the City Walls Pub. You can see the door from the coach stop in Albert Place. Landmark: Entrance is on the right of the entry to the City Walls pub. Directions: There are many bus stops around Castle Walk Bed & Breakfast. Take any bus to Stirling city centre. The closest bus stop is in Albert Place, which is in front of the Bed and Breakfast door. Back Walk, Rock Terrace runs alongside Albert Place. You could also take a bus to the bus depot next to the Stirling railway station. From there, Castle Walk Bed & Breakfast is an 8-minute walk. Our door is on the right next to the entrance to the City Walls pub.